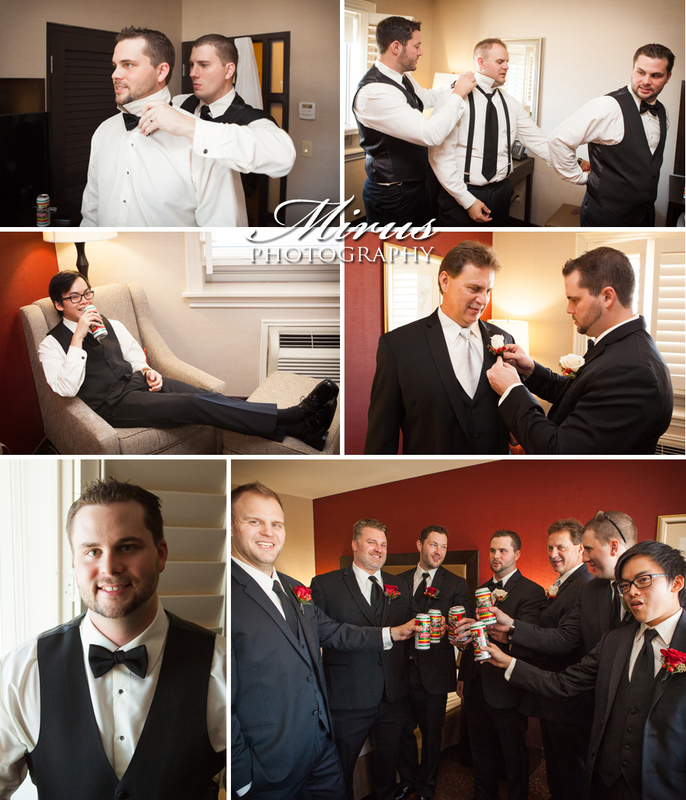 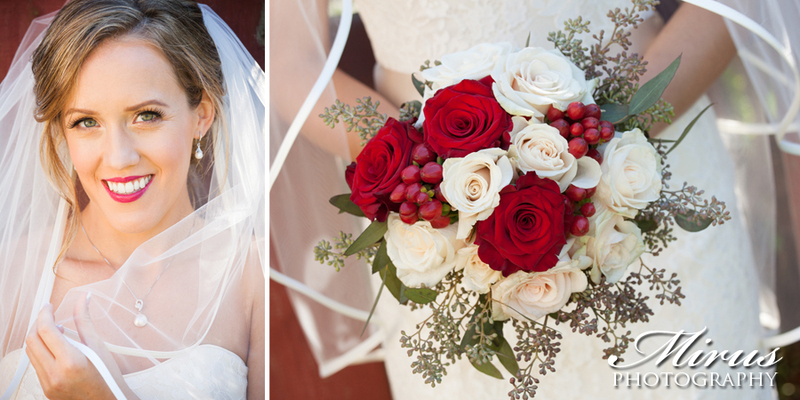 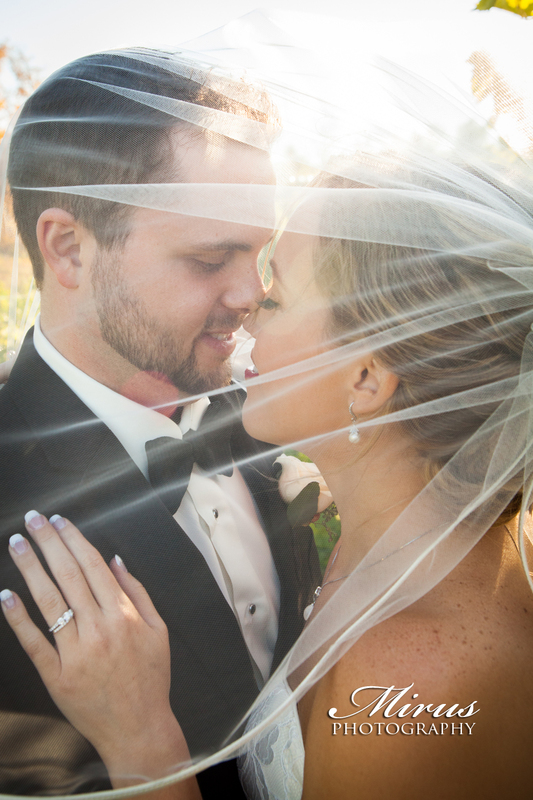 This wedding day was filled with so many touches that we absolutely loved. 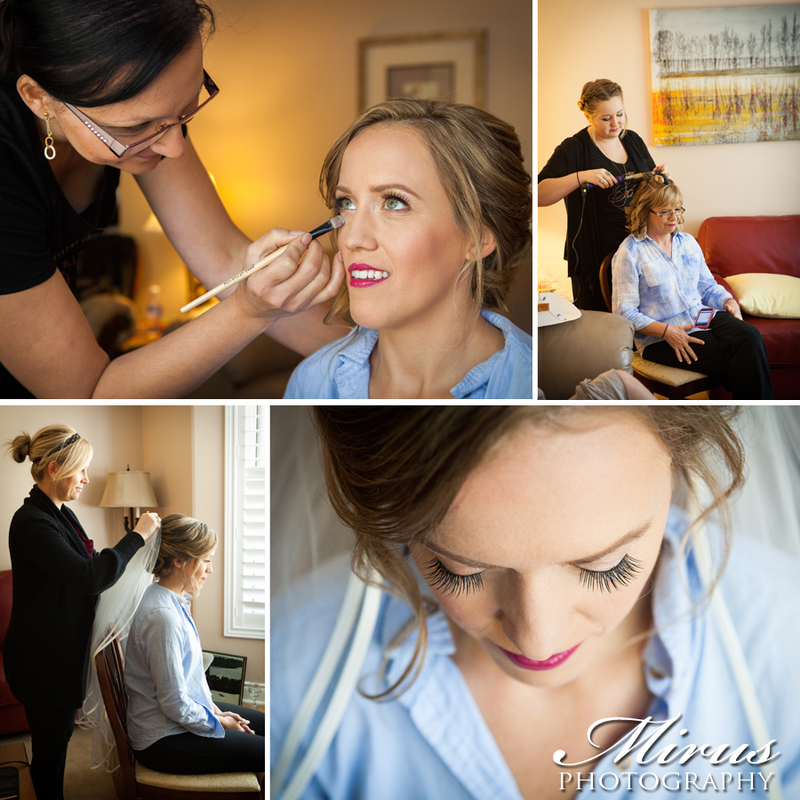 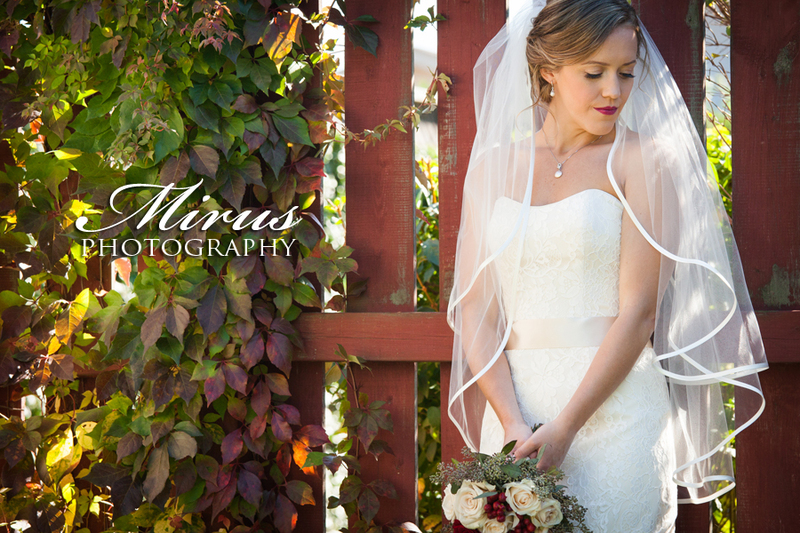 As a Niagara wedding photographer we see so many weddings that we fall in love with details that make each one unique. 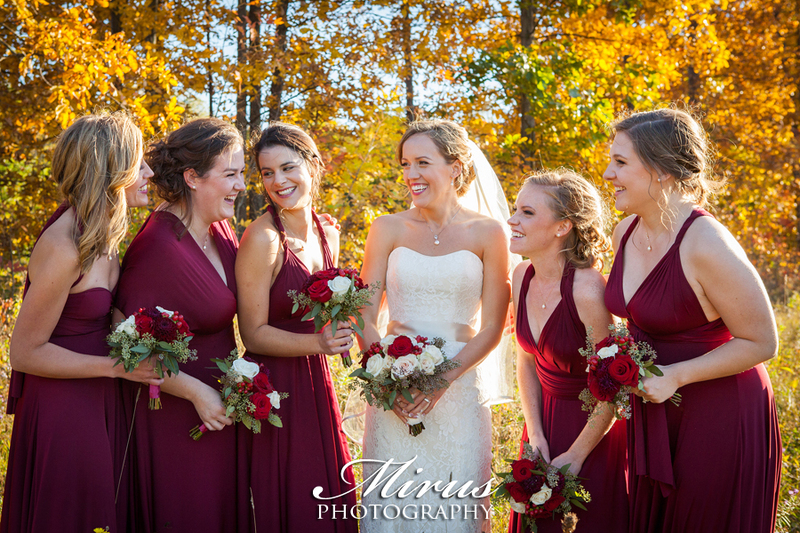 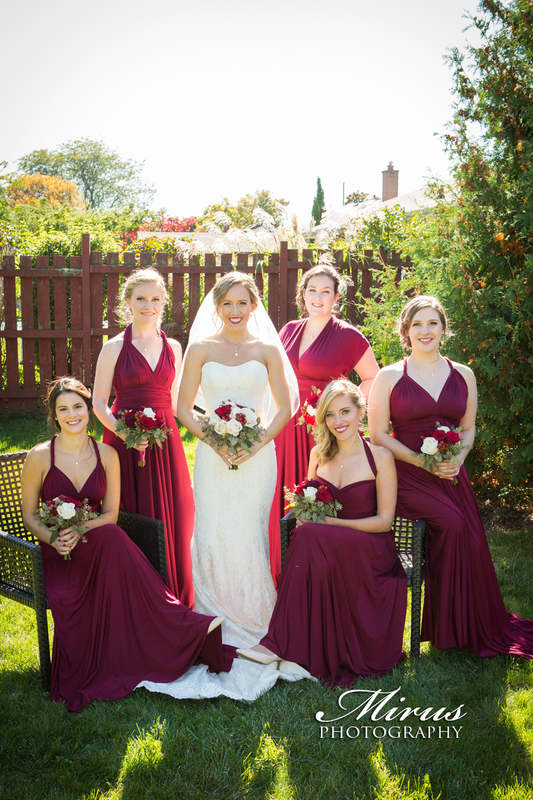 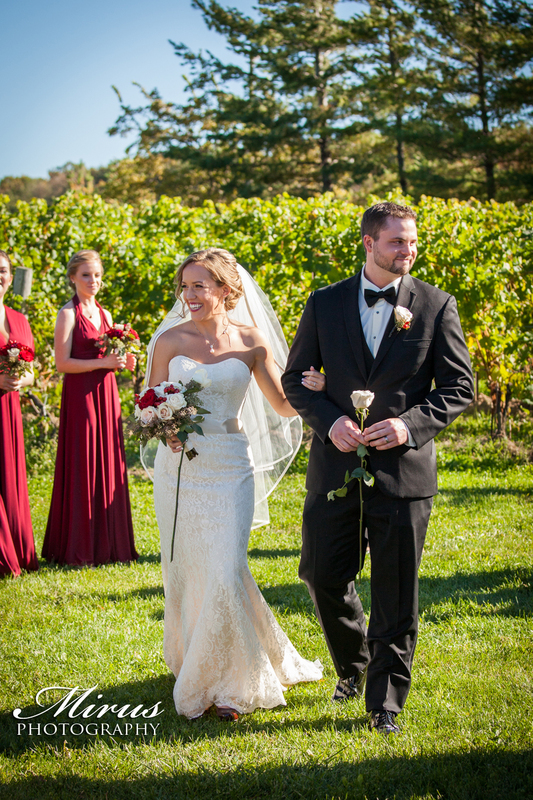 The brides shoes were a beautiful cherry red and they had corks on the heels to protect them but it was so fitting as this couples wedding was held at a winery. 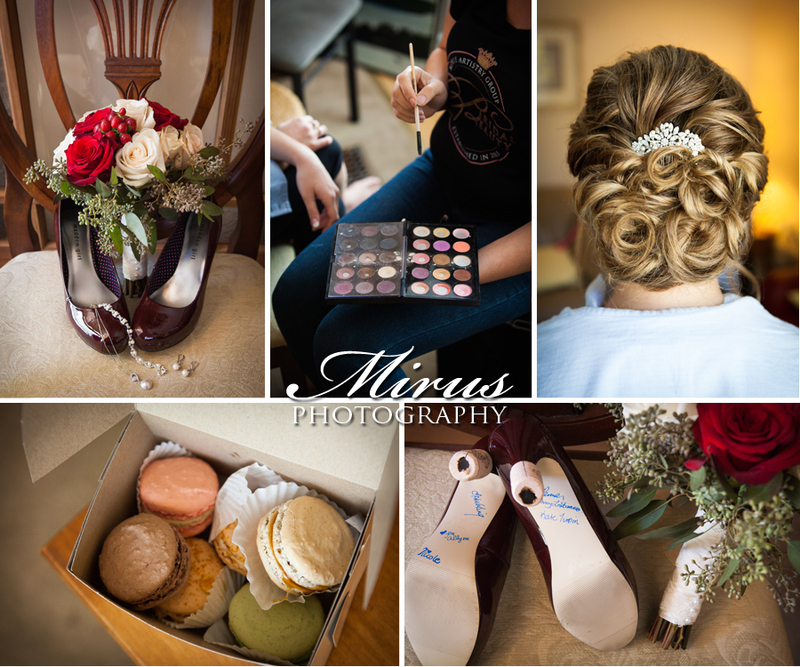 All of her bridesmaids also signed the bottom of the shoes. 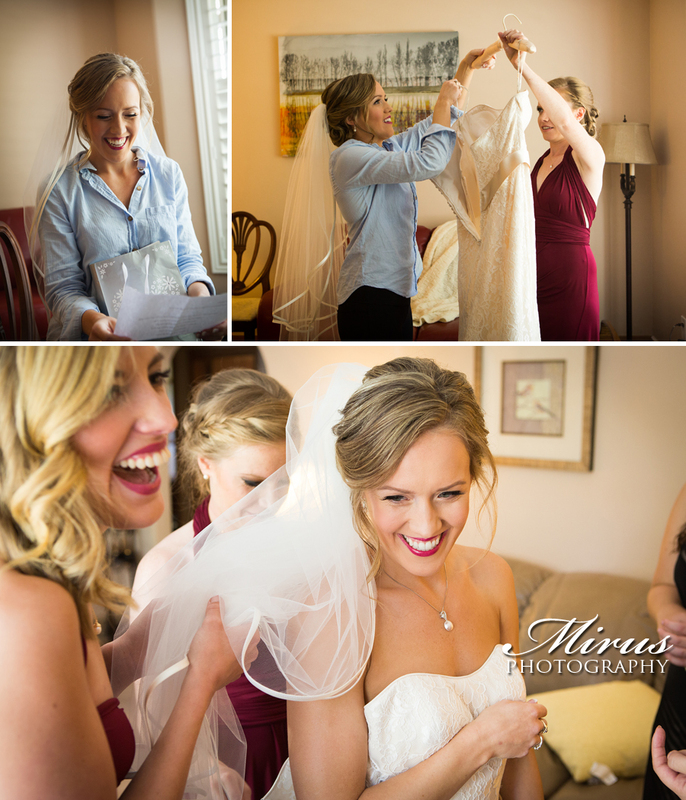 The brides gift from the groom was a bunch of things to make her day go smoother. 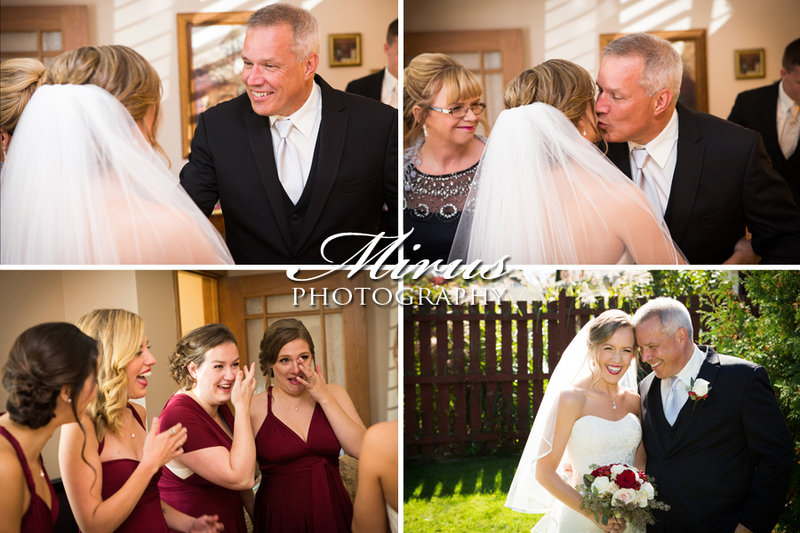 Thought it was very sweet! 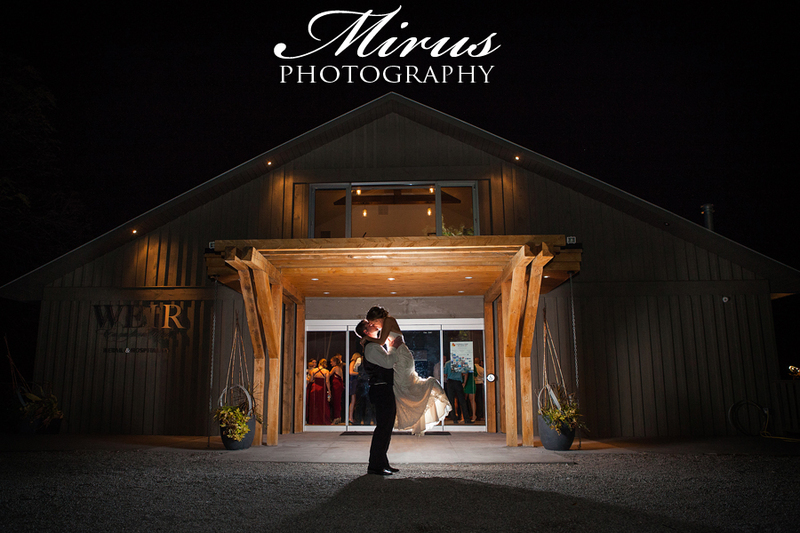 Loved all of the rustic touches incorporated at the reception also! 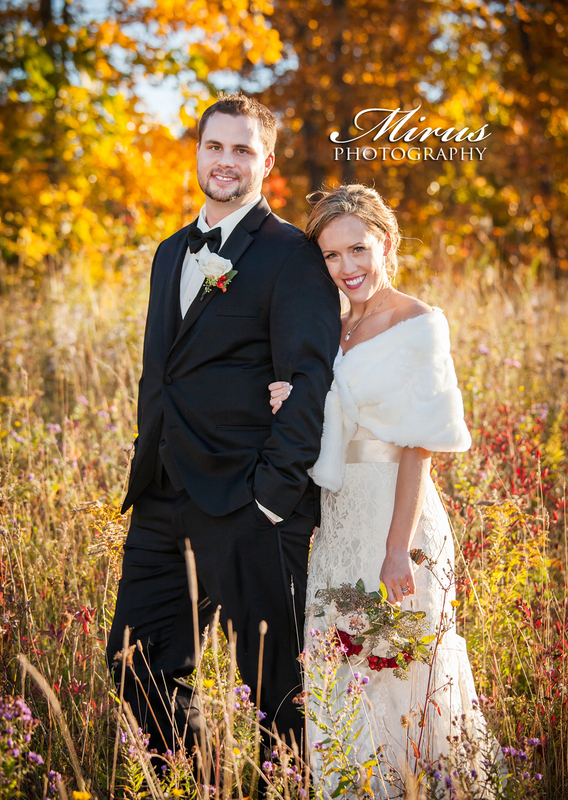 It was one of the windiest days but was also such a beautiful blue sky day! 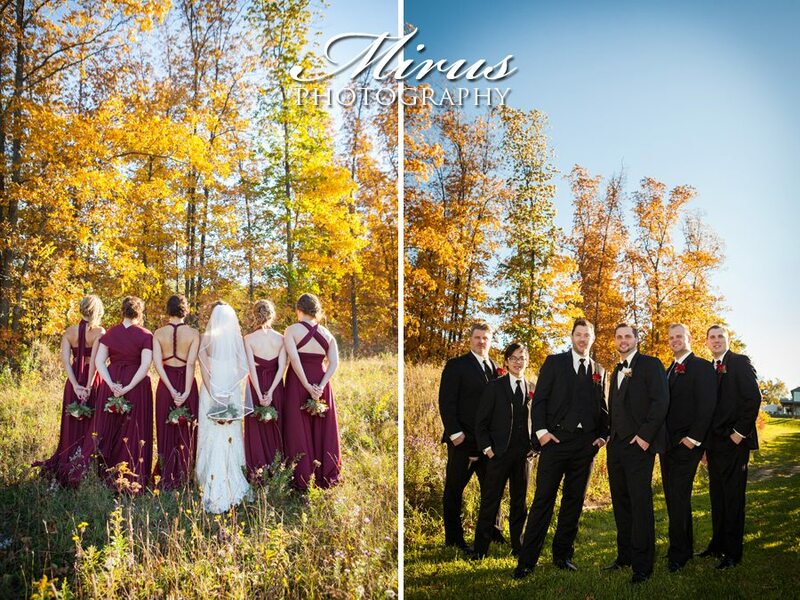 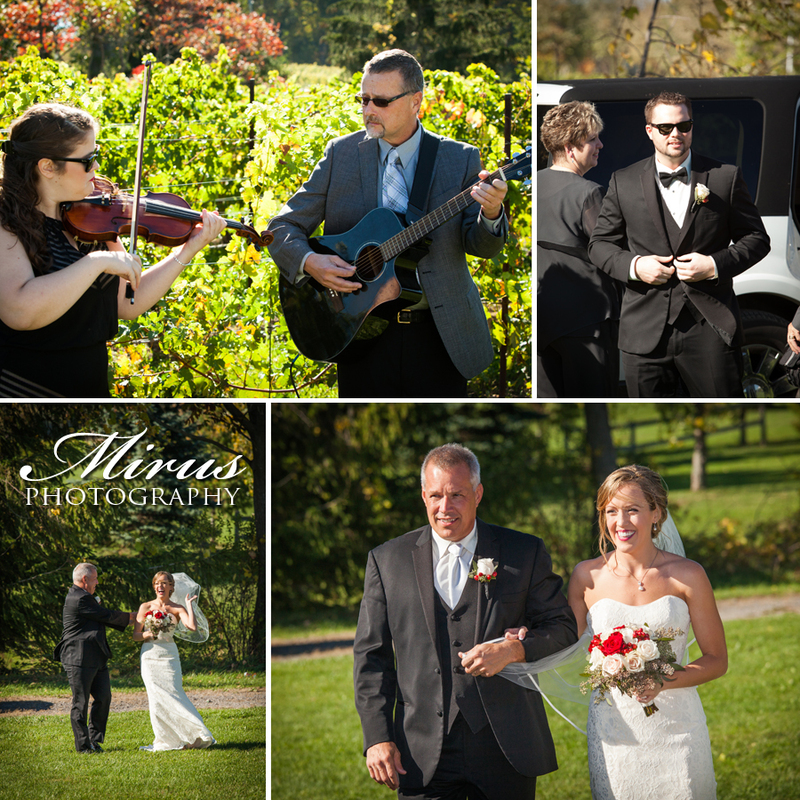 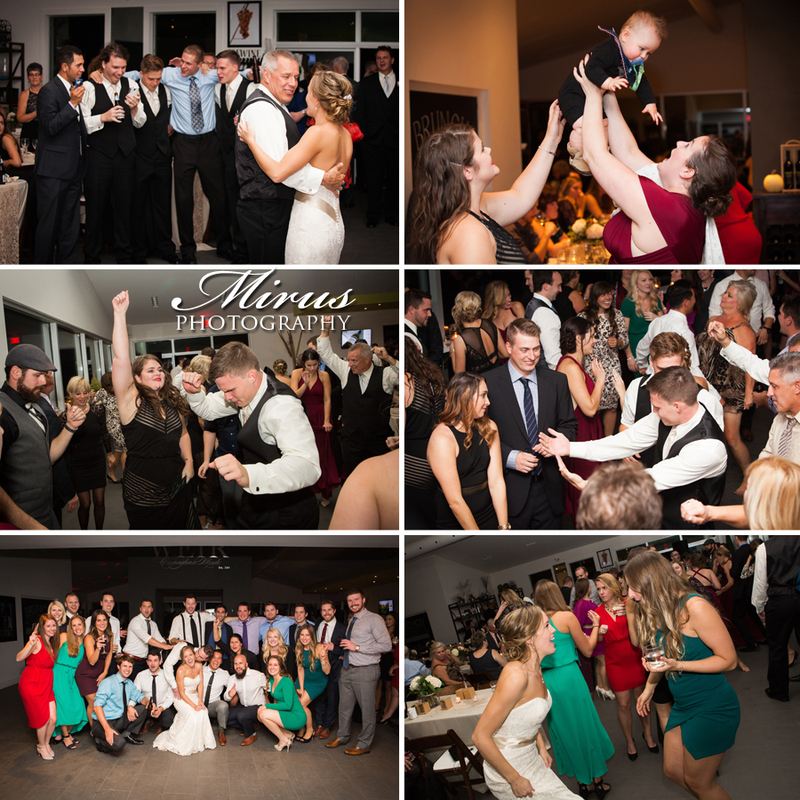 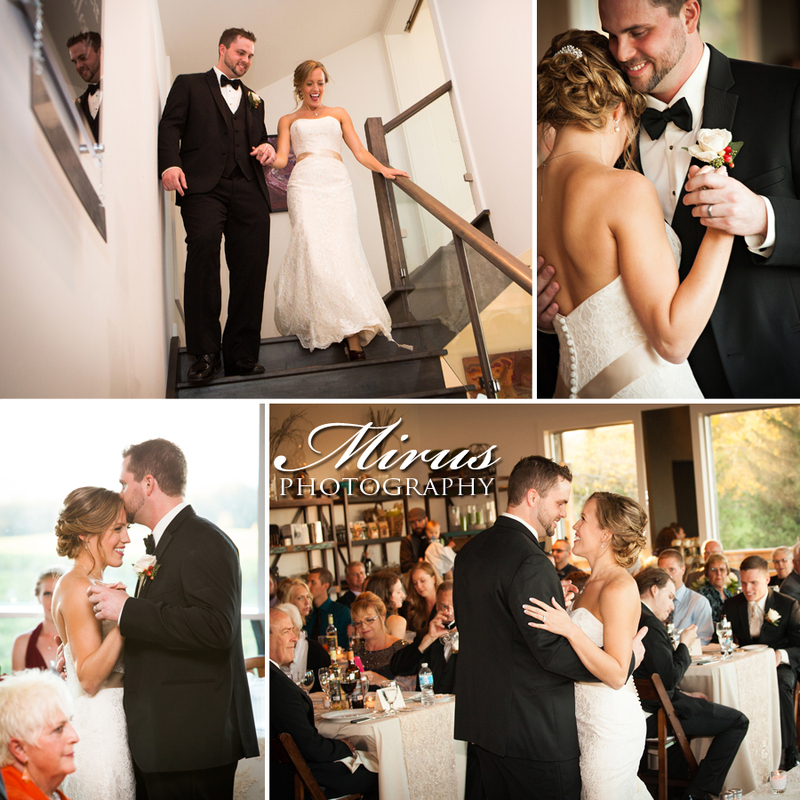 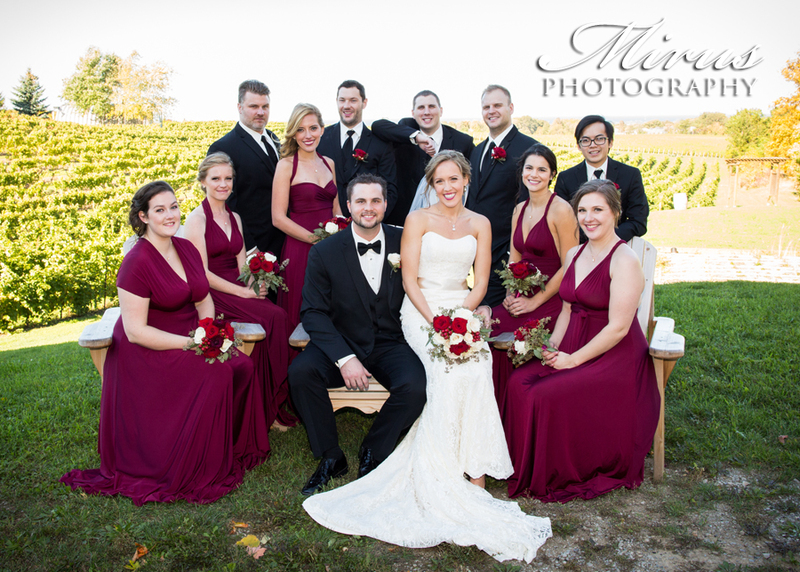 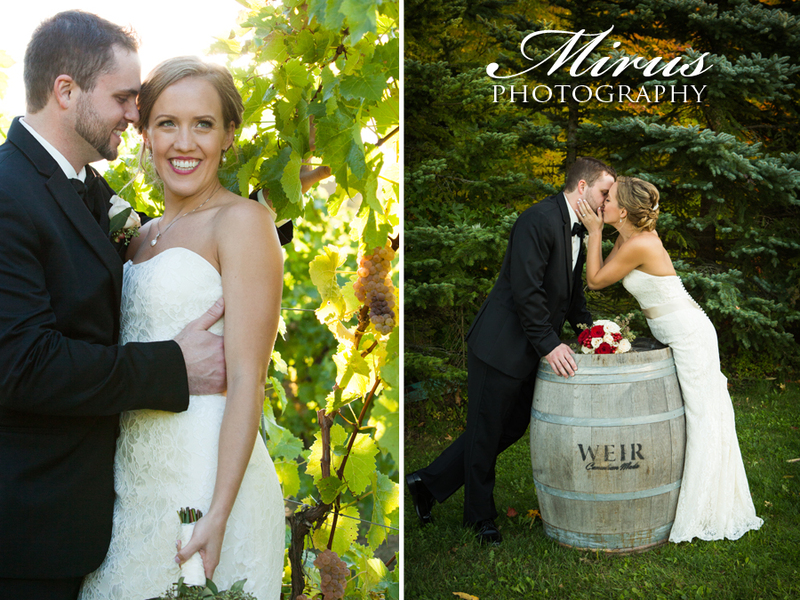 The wedding was held at Mike Weir Winery in Beamsville, Ontario in the Niagara Region. 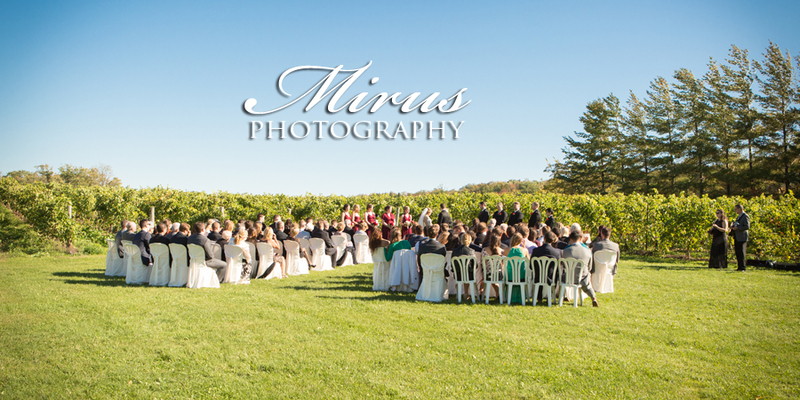 Such a wonderful spot for a wedding! 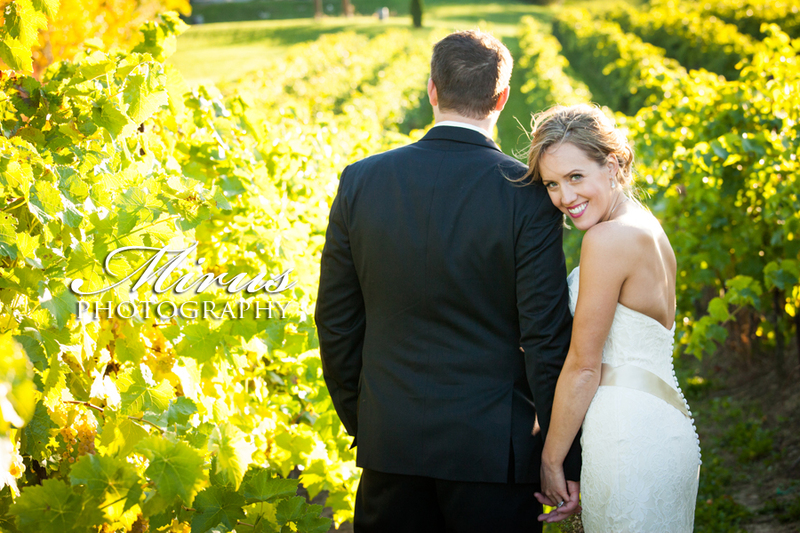 Becky and Trevor were married right in front of the vineyard. 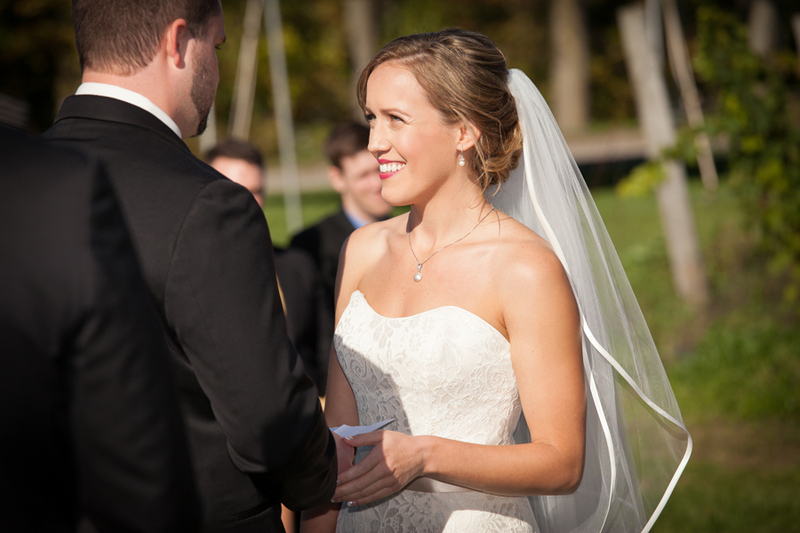 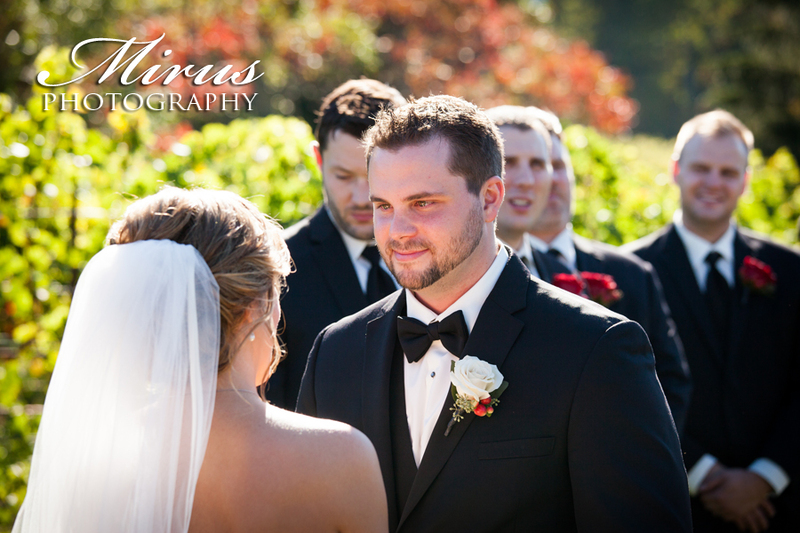 Loved the light in the vineyard that day and the bride's smile and the way they looked at each other. 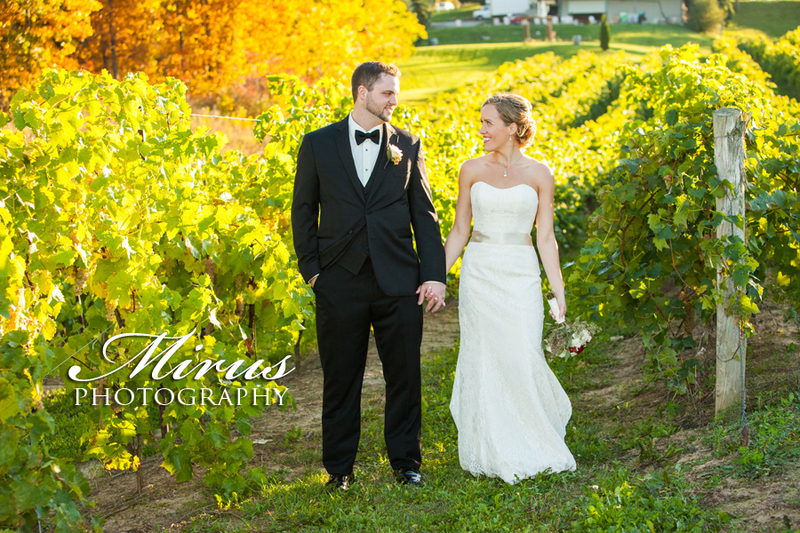 Could have photographed this couple for many hours. 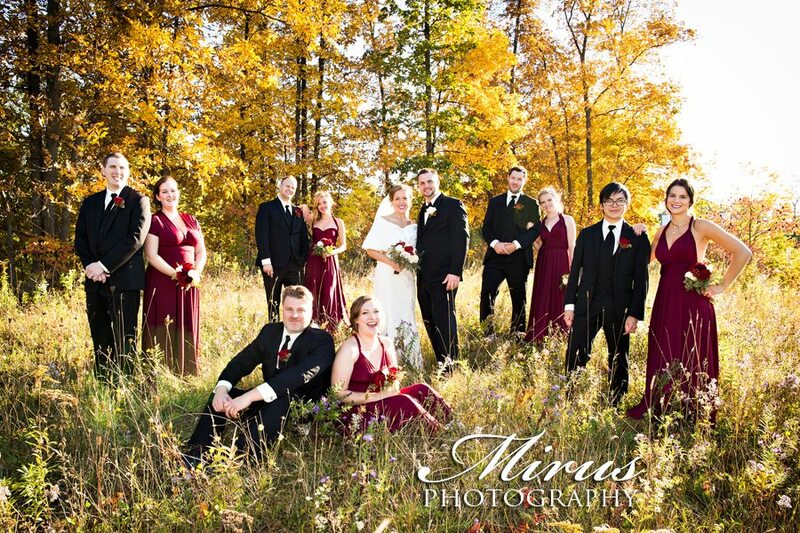 Was so much fun! 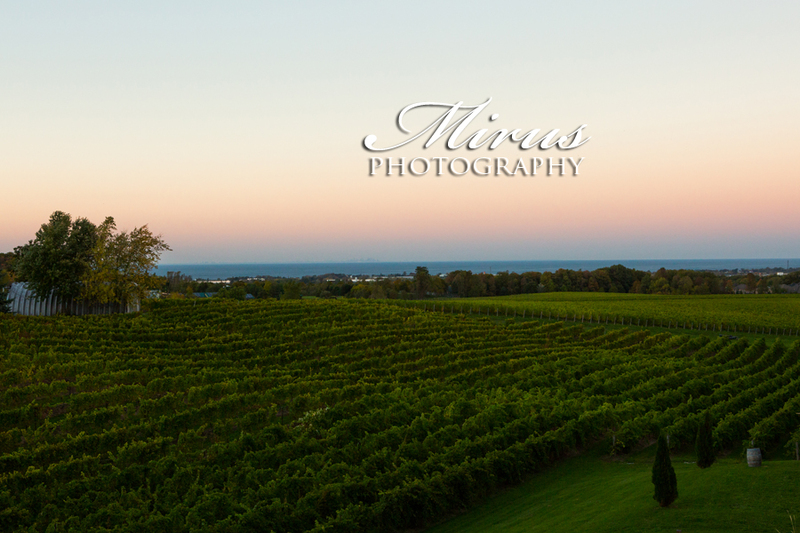 Loved the view as the sun set over the Niagara vineyard that evening. 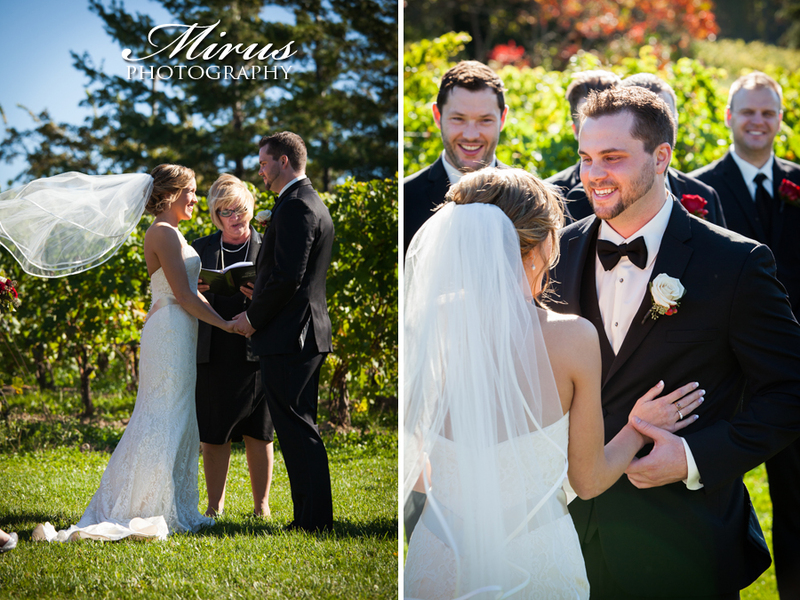 Just an amazing day! 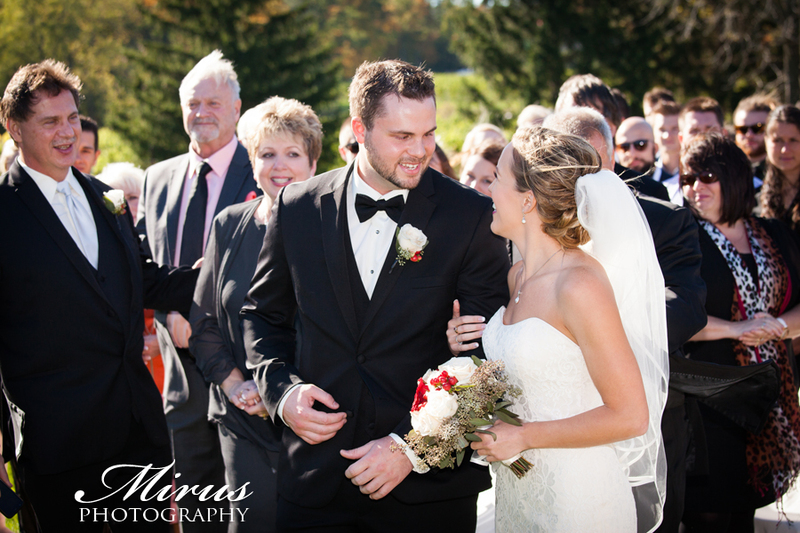 So glad we were a part of it!